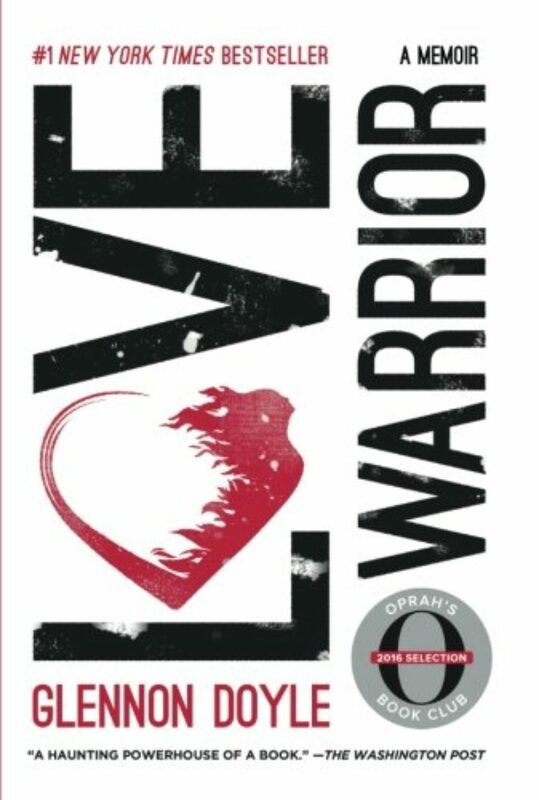 Glennon Doyle is the author of the bestselling books Love Warrior and Carry On, Warrior. She is also the founder and president of Together Rising, a nonprofit that has raised more than $15 million for women and children in crisis. Abby Wambach is a two-time Olympic gold medalist, FIFA Women’s World Cup champion, and six-time winner of the U.S. Soccer Athlete of Year Award. Her books include Forward: A Memoir and the forthcoming WOLFPACK. Krista Tippett, host: The topic of the day was courage, and my conversation partners two singular, admired women who have, since 2017, been married to each other. Soccer icon Abby Wambach is an Olympic gold medalist and World Cup champion. Glennon Doyle entered the American imagination with the label “Christian mommy blogger.” But she and her online blog base, Momastery, have transformed into something much larger: a community of giving, ready to respond when crises hit. She ignites millions of followers through initiatives like “Love Flash Mobs” — “to turn heartbreak into action.” What follows is a conversation about courage that is both serious and playful, as it turns up in their lives apart and together — from addiction to social activism to blended family parenting. Abby Wambach: Glennon and I talk a lot about this notion of despair. Sometimes she says it to our 10-year-old who has fallen down in a soccer game. She’ll say, “No time for despair.” I look at her; I’m like, what kind of language are you using? Ms. Wambach: Trying to be nice about it. Ms. Tippett: I’m Krista Tippett, and this is On Being. 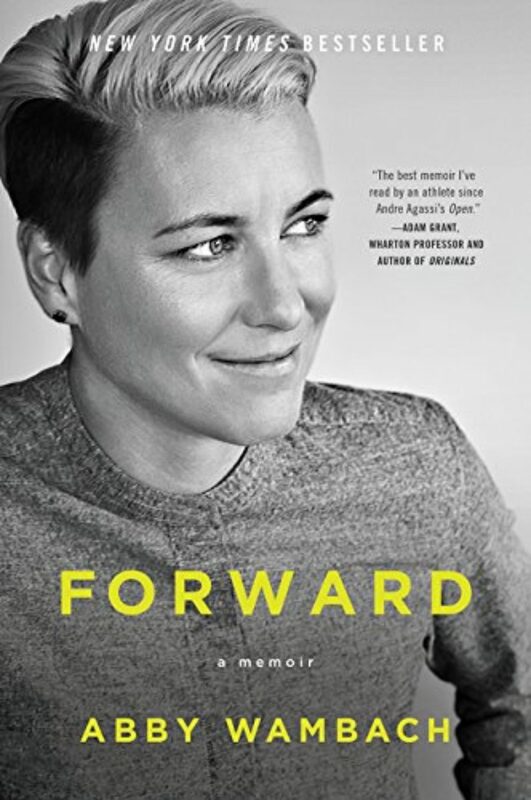 Abby Wambach is the author of Forward: A Memoir. 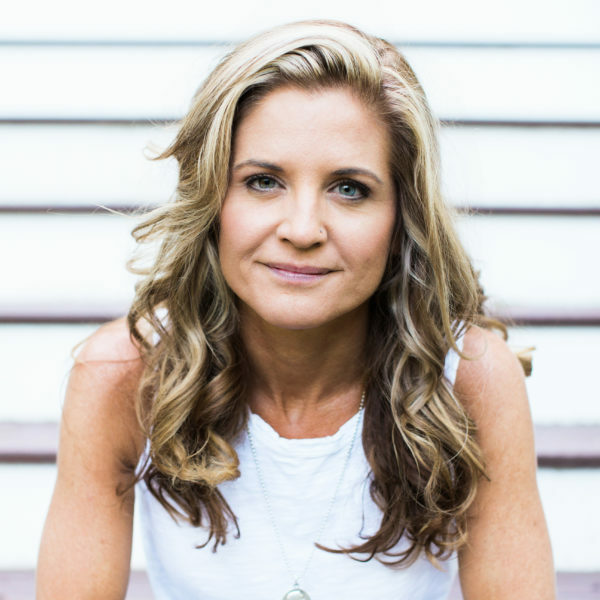 Glennon Doyle has written two New York Times bestsellers: Love Warrior and Carry On, Warrior: The Power of Embracing Your Messy, Beautiful Life. We sat together in Seattle at the 2018 summit of Women Moving Millions, a consortium of women testing the meaning and boundaries of philanthropy. Ms. Tippett: Glennon, let me just say one thing — we’re going to leap forward in this conversation and not go over a lot of the stories that, for both of you — where a lot of interviews with you happen, because you both have such fascinating stories. Like my teenage daughter would say, “It’s so epic.” You both have epic stories. But I want to jump into the meat. And I just want to say, if you want to hear these two’s stories, they’ve written gorgeous books. And you’re out there. Ms. Doyle: I don’t know if you remember, but a decade ago, maybe, they were doing this list: “25 Things About Yourself.” I was freshly sober. I was just dripping with babies — I think I had three under the age of five at that point — and really felt, like a lot of women do at that time, pretty isolated and lonely, overwhelmed and underwhelmed at the same time. Everything was too much and not enough. I logged on. I didn’t read anyone else’s lists; I just saw, people are writing lists about themselves. So I wrote my list and posted it and walked away and came back to my computer, and there were like 40 emails in my inbox. Ms. Tippett: Can I read number five? It was like, “Crap. We’re not doing that here.” But that was also the moment I got brave. I wanted to die, but then, when I got brave enough to start reading those emails, and every single one of them was just a different version of “Oh, my God, me too,” “Me too,” “Me too.” And they were from people I’d known my whole life. But we’d never really known each other because we’d been too busy pretending that everything was so perfect and shiny, because for some reason, if we admit or talk to each other about life and relationships and work and all of this being hard, then it seems like some kind of admission of failure, which is so ridiculous, because life and relationships and faith and work and all these are hardest for the people who are doing them right, who are showing up and taking big risks and falling and trying again. So sometimes, it feels like we are keeping the things from each other that are the very things that are so heavy that we are supposed to be carrying them with each other. When people say “tell-all,” all that means to me is, I just don’t have any shame because what I learned about my recovery, through getting sober, is that it’s not at all the pain of life or the difficulty of life — I still find life extremely difficult, but it’s not that that takes us out of the game. It’s the shame about the difficulty that takes us out of the game. I think, probably, what they mean is that I write about things that maybe other people don’t write about all the time. But that’s because it’s a spiritual practice for me. 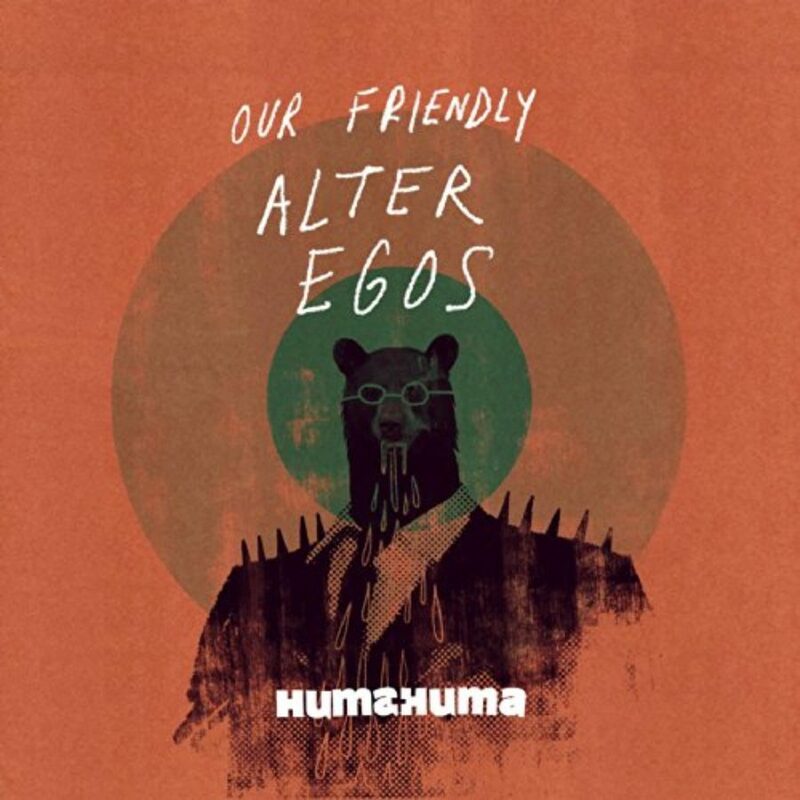 The second I start to feel anything that has a hint of shame in it, I always think of that Maya Angelou quote that’s ‘I am human, so nothing human can be foreign to me.’ I get it out if it’s scary inside and dark. But once I get it out and get light on it, it just shrinks. It’s not so scary anymore. A bunch of people say, “Me too,” and I’m like, “Ah — I’m not bad. I’m just human.” And we get on with it. So I’ve just tried to turn my entire life into one giant A.A. meeting. Ms. Tippett: I actually just want to read this before we move on, because Abby, your story also has different contours of this struggle to own the contradictions — also, in your case, between the fantasy other people have of one’s life and the reality of a life. But Glennon, would it be right to say, Momastery, which is your — is that how you say it? Ms. Tippett: That’s how I always said it — I know. And then I hear people saying Muh-Mastery. Ms. Doyle: Oh, that’s my favorite. Ms. Doyle: Well, on the Today show, they said, “This is Mom-Mastery: She’s mastering the mom,” which is the opposite of everything I stand for. Ms. Doyle: It’s like, noooo. I’m sweating. Ms. Tippett: I know. I was so sure. Was it in 2011, the “Don’t Carpe Diem” post that had four million shares and really took off in a new way? Ms. Tippett: Abby, you’re a two-time Olympic gold medalist, a Women’s World Cup champion, FIFA world player of the year, on Time’s list of 100 Most Influential People, praised by President Obama at the White House. Your book that you published — when did you publish that? 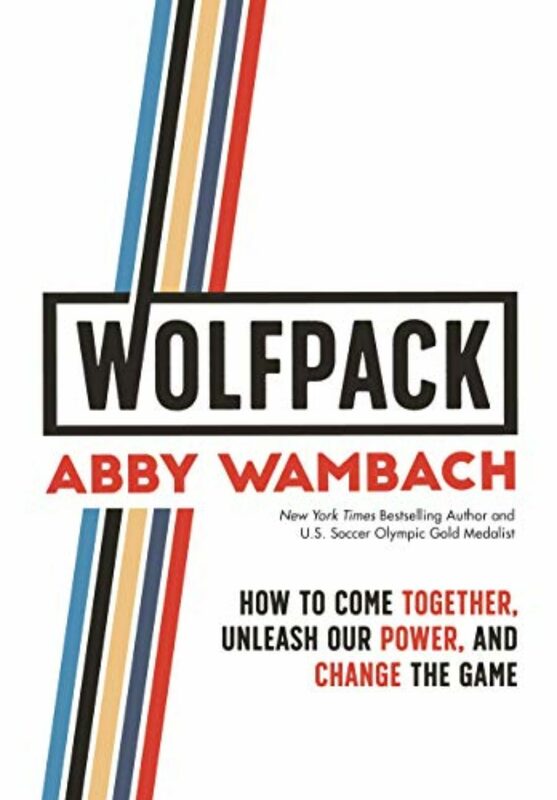 Ms. Wambach: Yep, when you spend over a decade in a spotlight, in one way or another — our national team gained popularity in 1999, when our team won the World Cup and Brandi Chastain ripped off her jersey. I wasn’t on the team then, but I got there a few years later, won a couple of Olympic gold medals, and then finished off my career winning the World Cup in 2015, and I retired a few months later. So you have certain levels — I had certain levels inside of me — that I could go and train, and I can compartmentalize the fame. I always said that we had a perfect amount of fame on the women’s national team, because it was not like A celebrity, where people were following us with cameras. We were revered and respected. The downside is, we didn’t get paid enough to deal with it. We could’ve gotten paid more, but then, maybe, if we’d gotten paid more, we would’ve been too famous. Ms. Wambach: And a hero. For me, that’s what the irony was: I just was internally feeling so scared and lost. When you have created this identity — I had this identity of myself as a soccer player, and now this identity was being completely shifted. I didn’t know what the hell to do. I found myself on a stage, months after my retirement, next to Kobe Bryant and Peyton Manning. They were giving me this Icon Award. Ms. Tippett: Is that ESPN? Ms. Wambach: Yeah, for the ESPYs. I was so happy to be there and grateful and everything. And as we turned and walked offstage, I looked at both those guys, and I thought, wow, all three of us are walking into very different retirements. Ms. Tippett: Well, and to be clear, one of the ways you use to describe that is that they were walking away with fortunes. And you, your life of hustling was just beginning. Ms. Wambach: Yeah, and I think, for me, that’s when the rage started to come to the surface. Courage? Ms. Doyle: Courage — it’s always got rage in it. Ms. Tippett: I’m Krista Tippett, and this is On Being, with Glennon Doyle and Abby Wambach. Ms. Tippett: Sometimes walked into willingly, and sometimes it had been an armor. It was everything from — or how you’d seen yourself: fraud, tomboy, rebel, teammate, lesbian, manic, depressive, captain, leader, romantic, hero, addict, failure. And then, the last chapter is “Human.” Somewhere, you said — all of these categories that were both generated from you and generated externally helped create you, but shut you off from becoming human, fully human. Ms. Wambach: Glennon has said this a lot: We’re all kind of like Russian nesting dolls. As we get older, we keep putting on all of these costumes. For me, growing up, that’s what I thought I had to do — to mature, to age, to get wisdom — is to put on all these different costumes and see which one fit. I think that now, having gone through a lot of my life — and granted, I’m still fairly young at 38, but I realize that the more you can actually take those costumes off and get down to that little, small, immobile Russian nesting doll — that is who you are, your true, true self. That is the humanity of all of us. We all are in there. Ms. Tippett: This is very random, but I just want to share it, because when I was reading, I was thinking — you ended with “Human,” which seems like the simplest, most elemental thing of all, but is really the work of a lifetime. I was thinking about — when I studied theology, Paul Tillich wrote The Courage to Be. And he’s called an existentialist theologian. I read it when I was older because — I always emphasized, when I thought of that “to be,” being. But the book is actually about the courage it takes. The courage is the work. There’s your little theology for today. Ms. Doyle: Yeah. It’s been a doozy, you guys. Ms. Tippett: [laughs] So the two of you met and married — and here’s me, rushing through epic history again — and are now co-parenting your three children together and, actually, co-parenting together with their father, in a really modern family. Ms. Doyle: I mean, we don’t live in the same house — it’s not that modern. Ms. Tippett: You don’t live in the same house, no. [laughs] But you’re working together. Ms. Tippett: Also, there’s really been an evolution of Momastery. Which came first, the Compassion Collective or the Love Flash Mobs? Ms. Tippett: With the Love Flash Mobs. Talk about what that is and how that developed. 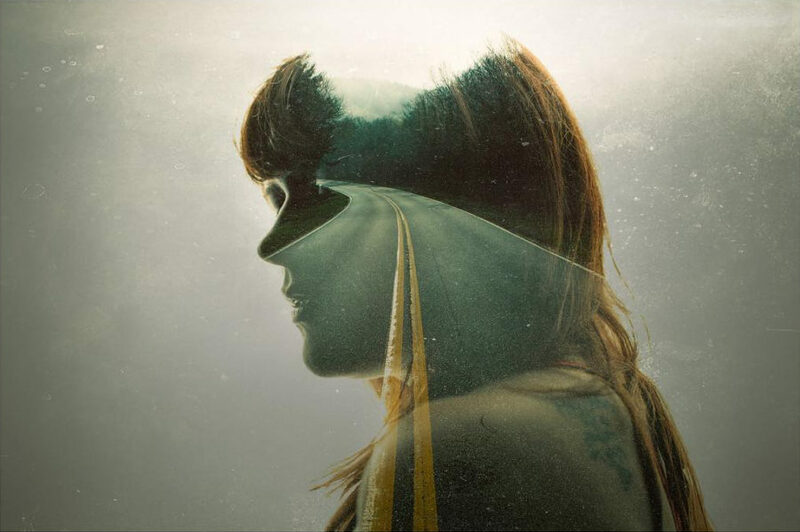 Ms. Doyle: I became a writer and an artist, and I saw my job as — I think a writer is, her job is to just pay close attention, just look closely at people. And I think when you look closely at people, you end up loving them. That’s just what happens, over and over again. So I fell in love with this little community that I was speaking to and hearing from every day online. The way it started was that one day, I was feeling really grateful, and at the time, I was using my feelings as energies. I think this is something my therapist had suggested. [laughs] I was feeling all this gratitude. I said, I’m going to do something with this gratitude. So I said, the first email that I open up, if it’s a request, I’m going to grant that request, because people were always asking me for things. So I opened my email, and it was a letter, a beautiful letter from this woman who ran a home for teenage homeless mothers in Pennsylvania. She was just sharing her heart. She said, “This little 14-year-old girl came to our home last night, holding a baby, and I had to turn her away because we didn’t have the funding for her.” And she was heartbroken. So I said, “Oh, my God. That’s it,” I actually called this woman in the email and said, “I want to pay for that girl to come into your home. What do you need?” And she said, we need $80,000. And I said, “Well, then, we need another plan. That’s going to be a hard credit card charge to hide from my husband.” I was despondent because I knew I was supposed to do this. This was in the cards. Ms. Tippett: Yeah, they kind of came and went. Ms. Doyle: Right. That one has like 79 million views, and I am 78 million of those views. Because it’s just so gorgeous. It’s a metaphor for life. We all just are walking around like zombies, disconnected from each other, and then suddenly, somebody, some fool starts dancing. And then some other fool starts dancing too and knows the moves. It’s almost like there’s some kind of choreography that we all know. And then, everybody’s dancing. The beauty of the Love Flash Mob was, I’m going to open up the giving, but nobody is allowed to give more than $25, because the point was not just to raise the money, but the point was to create a community of givers. And I had to fix — what was the problem? We know we have the feeling; we want to help. But what happens between that feeling and just “forget it”? What happens, I think, in that space is confusion: How much should I give? Will it matter? Who do I have to check with? I’ll do it later. I needed to smoosh that time together so that people didn’t drop off and also to make somebody for whom $25 is a big deal feel as invested and as important as somebody for whom that was nothing. Fast-forward seven hours later, we had $130,000. That was just the first day. So now, years later, the Compassion Collective — this is a grassroots movement. Love Flash Mobs happen every once in a while. I think we’re just about to hit $15 million, and our average donation is $31. My journey has been from artist to, I guess what you’d say, philanthropy: this idea that we love people, and we want to help people. Somewhere in my journey, my team and I were spending day and night just — emails and helping and helping and pulling people, pulling people. We’d sit down every once in a while — we’d say, what is going on? I believe that people are doing the best they can. Why are all these people suffering? All these people who are working their butts off to put food on the table for their family, and they can’t make ends meet. What’s going on? One day, I read this quote that said, “You can only pull people out of the river for so long until you have to look upriver to find out who’s pushing them in.” So that is when I added “activist” to my résumé. Philanthropy is one thing, and pulling people out of the water is one thing, but at some point we have to ask ourselves, what are the institutions and powers that are causing all of these children to not be able to have their heat turned on? What are the institutions that are causing all of these dads to be pulled out to jail for the most minor infractions? What are the institutions and powers-that-be that are causing so many freaking people to be addicted to opioids? We have to go upriver. We’re going to do and/both, all the time. I just want to spend the rest of my life pulling people out of the river and also creating living hell for the people that are pushing them in. Ms. Tippett: What I also want to just pick up on, just moving back a little bit, is, what you’re doing by saying you can only give $25 is also helping people not feel paralyzed. Years ago, I interviewed Joan Halifax, a wonderful Buddhist teacher, and she talked about how she didn’t like this language of “compassion fatigue.” We all know what she’s talking about, but she said she thought there’s such a thing as “pathological empathy,” because, in fact, we get surrounded and inundated and bombarded by images that break our hearts, so many of us, I think. It’s not that we don’t care. It’s that we’re overwhelmed by how much we care, and we have no idea what we can do to make it better. So that’s also what you’re describing. But we do need a different kind of courage that we don’t possess and that our public life doesn’t nourish right now, to hold that question and walk with it. Ms. Doyle: And to turn heartbreak into action. Ms. Tippett: Yeah, there’s something you — on the day, or around the White House’s Muslim travel ban, because you’ve also gotten involved — you got really involved, and the Compassion Collective got involved in the children being separated from their families at the border. And you said — this is so powerful: “Issues like refugee care can seem so overwhelming.” You were saying this to your people, which is a million people or so. “But we’re going to do this thing that I learned when I first got sober. We are just going to do the next right thing, together.” That’s what we’re not stopping to just say to ourselves and say to each other. Ms. Doyle: Yeah, and I think that this idea of compassion fatigue or despair — what I really notice is that the people who complain about despair so much are the people who aren’t doing anything, because what I feel is brokenhearted a lot of the time. But when I do a little thing, when I just do something, there’s something else that happens. It’s not despair. I don’t know — it’s a little bit of hope. It’s that idea of, we cannot keep the fact that we can’t do everything to keep us from doing something. You do that little thing, and then you feel more awake and alive and connected. So many people at the time were saying — the beautiful Mr. Rogers — have you guys seen the documentary? Ms. Tippett: I started watching it on the plane. It’s not a good thing to watch on the plane. You don’t want to cry on planes. Ms. Doyle: I know. And he said, his mother used to say, when tragedy struck, to look for the helpers. What we say to our kids: No, that’s not good enough anymore. You have to become the helpers. There’s this side, and there’s this side, sometimes, and we just want to be the first responders. We want to be the people that show up and say: Here we are. What can we do? There’s something that I see that happens to people who just join in and just give a little bit and just do that next right thing instead of nothing. Whatever despair is, it’s not there with them. It’s a way of keeping hope alive. Ms. Tippett: There’s this language you’ve used — “activism as self-care,” which has a lot of layers to it. I also want to ask you, Abby, if that rings true for you, that language of activism as self-care. Ms. Wambach: Yeah, Glennon and I talk a lot about this notion of despair. Sometimes she says it to our 10-year-old who has fallen down in a soccer game. She’ll say, “No time for despair.” I look at her; I’m like, what kind of language are you using? 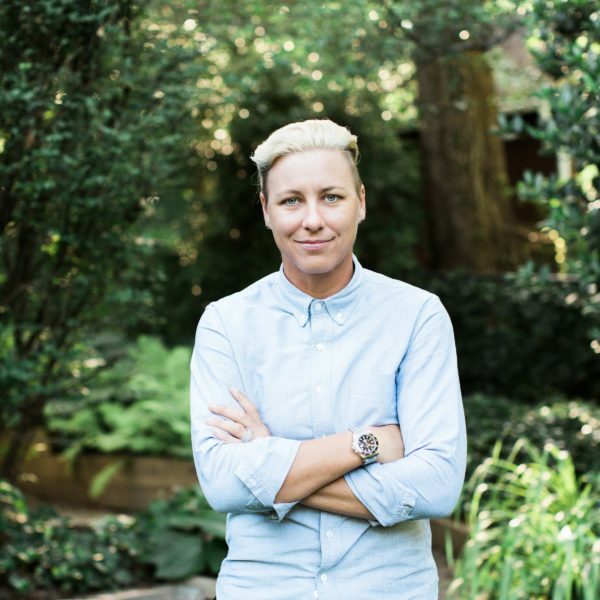 Ms. Tippett: After a short break, more with Abby Wambach and Glennon Doyle. You can always listen again and hear the unedited version of every conversation I have on the On Being podcast feed — now with special, occasional bite-sized extras. Wherever podcasts are found. I’m Krista Tippett, and this is On Being. Today I’m with the Olympic gold medalist and World Cup soccer champion, Abby Wambach, together with her wife, the blogger, author, and philanthropist Glennon Doyle. We spoke at the Women Moving Millions 2018 “Power of Courage” summit in Seattle. Ms. Doyle: My daughter steals my shampoo all the time because I buy her cheap shampoo, and I have nice shampoo. And then I pick up the girls’ bottle, and it’s just wispy words that are all disconnected from each other, like, elegant, light, delicate, breezy — just random things I guess we’re supposed to be, but don’t make any sentences or sense. I just thought, oh, this is so interesting. 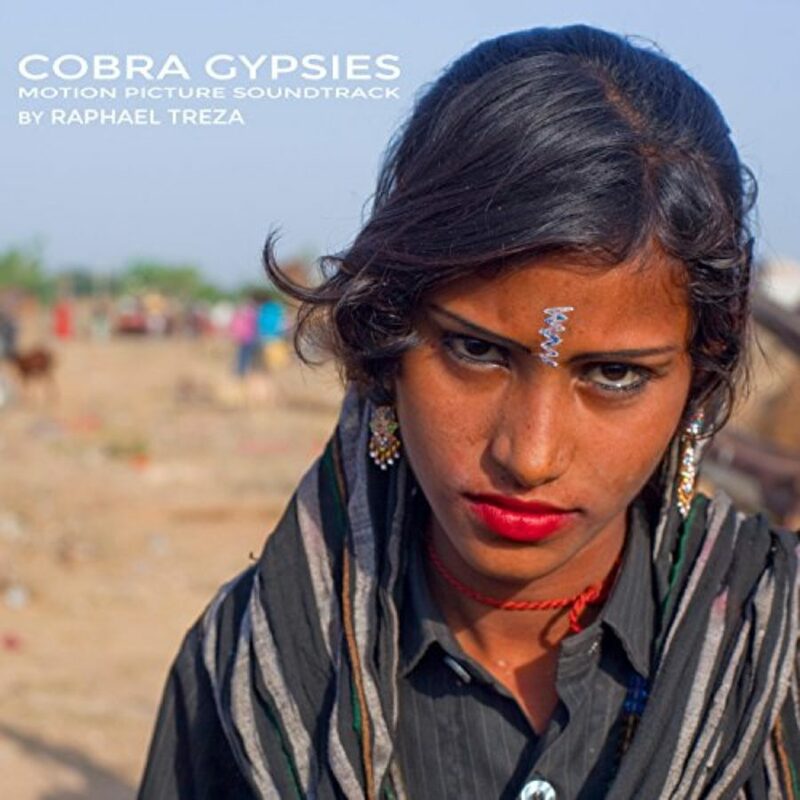 And then I thought, before our kids even get out of the shower, we are already telling them how to lose most of their humanity and fit themselves into these little categories of masculinity or femininity — before they even get out of the shower. It made me think — just something about seeing that on my boy’s bottles — I became bulimic when I was ten years old. I’ve been fighting toxic messages of toxic femininity my entire life. So when I had these little girls, the second they were born, I was holding them, just — “You can be anything. Be angry! Go ahead, yell! Rage! I love your anger!” — whatever, just trying to raise these fierce girls. And it hit me, I haven’t been whispering that stuff to my little boy. I haven’t been saying to him, “You can be other things than angry. You can be vulnerable. You can cry. You can be soft. You can be gentle.” I think, oh, God, of course. He’s been learning just as many dehumanizing messages about what it means to be a boy in this world as my girls have. And we wonder why our little boys — it is just as dangerous to tell a little boy that he can only be angry as it is to tell a little girl that she can never be angry. Every message we send to our boys is that in order to be a real man, you have to be really rich, and you have to be famous, and you have to conquer women, and you have to be utterly invulnerable. And then we wonder why our men can only talk about sports and news and weather — and nothing else. The poor guys — we talk about it a lot — it must be so lonely to be a man. Ms. Tippett: And still, it’s shocking that there are still all these messages. And you’ve walked into parenting a boy. Ms. Wambach: Instant-mom. It’s been fun. Ms. Tippett: What? Instant mom. [laughs] But has that been a revelation for you? Because you walked into the middle of a boy’s life, and he’s a teenager, right? Ms. Wambach: Yeah, and it’s different. When I first met Chase, he was 13, maybe going on 14. The girls were a little bit younger — 12 and 8, maybe 11 and 8 years old. And I think that because he was a little bit older, a little bit more baked in terms of his maturity, you have to process with a boy differently on some level. He wants to stay a little bit more to himself. He’s studying more for school. But we talk a ton about how we don’t want him to feel dehumanized or — living among a bunch of women. So there’s times where — this is a truth. Sometimes, when I first got into the family, I found that Glennon was more apt to push the girls to do some of the house chores. Ms. Doyle: I can’t believe you’re saying this. We’re going to have so many talks. Ms. Wambach: And I would be like, “Why doesn’t Chase have to do the dishes?” And she’s like, “You know what? I think you’re right.” So we’ve come down — we’re like, “Chase, you need to do the dishes. Even though you have homework to do, you have to do what has been, historically, a ‘feminine’ job, a role of a woman in the house.” We want to make sure that that’s an equal, shared chore for Chase so that he doesn’t feel left out. Ms. Doyle: I was stunned at myself. Ms. Tippett: I wonder if you would tell the story that you told when you, I believe, gave the commencement speech at Barnard — is that right? That when you retired — and we never got to talk about what it’s like to be retired when you’re 38. Ms. Tippett: Next time — that your sponsor, Gatorade, surprised you at a meeting with a plan for your send-off commercial and that the message was: “Forget me,” which made you really happy. Ms. Wambach: Yeah, I went in there — and I’ve done work with Gatorade for my whole career. I’ve been a Gatorade athlete, at the time, for — I guess it was 15 years. So when I walked in the offices and they sat me down, and they showed me that they were going to make this commercial that was going to be my retirement commercial — well, first of all, I was very honored. It feels like rarified air to be the athlete for a campaign for Gatorade. And then, the messaging that they wanted to get across to the consumer was this “forget me” idea. And for me — I know that sounds so bizarre, because most athletes are egomaniacs and crazy into themselves. But I really feel deeply that the legacy I wanted to leave is making sure that I am leaving the sport better than I found it. I hold the record for most goals scored for any person on the planet. Ms. Tippett: Of any gender. Ms. Doyle: She’s humble, you guys. But the reality and the truth is, and I really do believe this, that, especially women, we are here to keep pushing each other. And if somebody breaks my record, that means the game is better. That means the game is growing. That means other people are achieving greater, bigger heights than me. And that is the kind of legacy that I can actually wrap my mind around. You can’t find success unless you are willing to let it go when it’s over. Ms. Tippett: I’m Krista Tippett, and this is On Being, with Abby Wambach and Glennon Doyle. Ms. Tippett: I feel like, coming from really different directions, the two of you use this really kindred language. You talk about that we need to “champion” each other. And Glennon, you use the language of “sistering” each other. Ms. Wambach: I love this story. Ms. Doyle: You know carpentry? It’s just boards and nails, carpentry — Jesus was one. But it’s just the most beautiful, to me, example of how women support each other — and for life, because sometimes the load on us just gets too heavy to carry by ourselves, and the mistake we make when that happens is we think that we’ve done something wrong. We think we’ve made a mistake; we’ve gone wrong somewhere, because it can’t be this heavy. But if we never had to ask for help because we couldn’t carry the load anymore, then we would miss out on the best part of life, which is just sistering and being sistered — or champion each other. Go get the ball, score the goal. Ms. Doyle: Halfway through the season, you guys. Watch out for what you ask for, because they forgot me. Ms. Tippett: I love that, and I feel that especially in this moment we inhabit, this cross-generational friendship is so important — that we’ve given our children a very complicated world, and they don’t want to be told what to do, but they want to be accompanied. 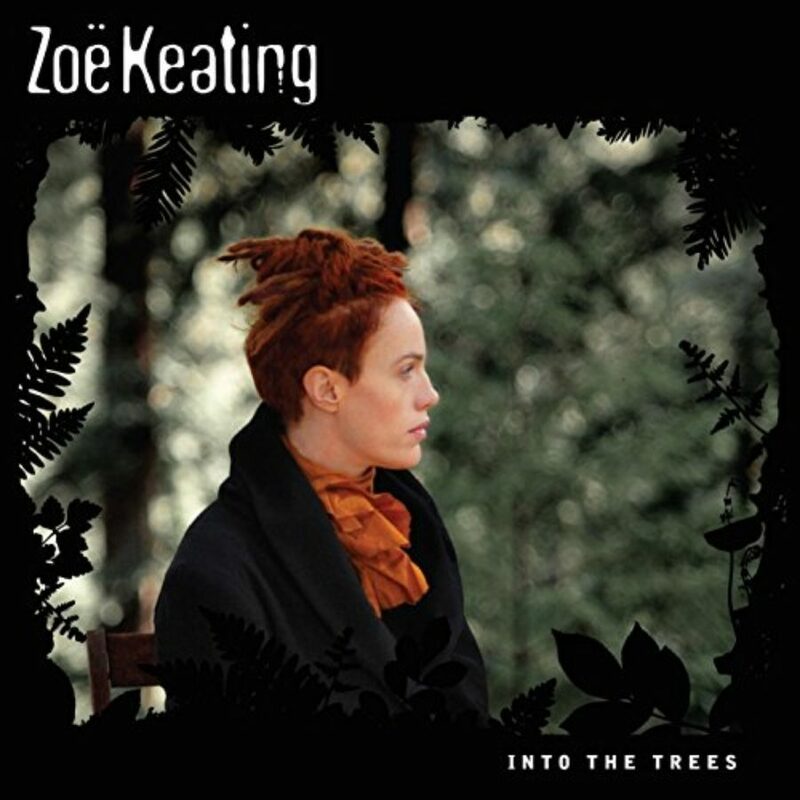 It is also about us relinquishing power we have and the knowledge, the unbecoming — because that’s beautiful and hard. Ms. Doyle: We tell our kids all the time — I think one of the amazing things about parenting is, you want to teach your kids how to be human among humans, and so it makes you stop and consider how to be a human among humans. [laughs] You have to stop and think about it for the first time. One of the challenges I found so much in parenting is the same challenge that I find in my actual life, which is just letting them have their pain — because, like you said, these things, we talk about them, but they’re hard. And we feel them. One of the most important parts of my sobriety and in activism, and why I call activism self-care, is just giving myself permission to feel the things. Abby will tell you, I allow myself to feel a lot. I allow feelings to take me to bed for 24 hours, quite often. And I think that there is some kind of crazy power in that. In my commitment to sobriety each day, just being committed to dealing with life on its own terms and my own feelings on its own terms and not rushing myself and distracting myself — and sometimes that means I go down hard. And then there’s something that happens after that that’s really beautiful, 100 percent of the time. We say all the time with our kids, everything’s a pattern. It’s, first the pain; then, the waiting; then, the rising — over and over and over again. Pain, waiting, rising. And when we skip the pain, we just never get to this rising. Ms. Tippett: Courage is borne of that and giving in to that. Ms. Doyle: And courage is borne of that — just surrendering to the process. Especially being a parent who was raised in this — we got this parenting memo that everything would be OK if we just never let anything bad ever happen to our children, ever, as long as they gave us the babies. We’re like, take her home and just never let being human happen to this child. Don’t let anyone ever frown at her. Don’t let her lose anything. Don’t let a drop of rain fall onto her head. And then everything will be fine. Our parents got the memo: just take her home and then go drink Tab and smoke cigarettes and have Bloody Marys. Ms. Tippett: [laughs] Right, like you did throughout the pregnancy. Ms. Doyle: Right, so they got the awesome memo, and ours sucked. Anyway, that’s what I figured out. It took me till my kids were ten to figure out that that parenting memo was complete B.S. and that when we don’t let our kids fail, and we don’t let our kids feel, they don’t learn how to become human. One of my greatest challenges in my personal life and in my parenting is just to look at my kids and say, I’m not going to protect you from this. I’m going to let you fail here. I’m going to let you feel that. Yes, life is that hard. It is that hard to be human, and I’m not going to grab that from you. We talk about — we’re trying to raise these kids who don’t think they have to be fire avoiders, who don’t have to constantly avoid the fires of their lives and of their relationships and of the world, because they learn over and over again that they can walk through the fires, because they’re fireproof. That’s what we learn when we keep showing up for hard things, and we keep making it through: that we don’t have to skip the hard things anymore because we somehow always survive and end up stronger. Ms. Tippett: I want to ask you, in closing, each of you, just for a moment, to reflect on what makes you despair right now and where you’re finding hope. Ms. Doyle: You want me to go first? Ms. Wambach: I think that what makes me feel despair is just how lost it feels like parts of our government feel to me. And what makes me feel hopeful is that I know that it won’t last forever. Ms. Doyle: Yeah, I think, for me, the despair and the hope come in the exact same place. I keep hearing, all over the place, “Oh, my God, what’s going on right now? Everybody’s suddenly so racist, and everybody’s so homophobic, and everybody’s so —” OK, but the people have always been like that. It’s just that now we can see it. Ms. Wambach: And people are talking about it. Ms. Doyle: Right, now it’s at the surface. When you ask people who have been affected by racism their whole life, when you ask people of color, they’re not super surprised right now. Ms. Doyle: That’s why I think the despair and the hope are in the exact same place. And I think about this all the time because we give destruction — we’re too scared of it. We’re too scared of apocalypse. Who wants things to stay the same? Not me. We get so scared of the ends of the world. The first story I ever learned about God and being a woman was, OK, so everything was great, and God put two people in a garden, and —no, first, one person in a garden. That was Adam. And then he gave birth to Eve. We’re supposed to take that one on the chin first. OK, all right. So men give birth to women. OK, it’s not what I’ve seen in my life, but — got it. And then everything was fine until the woman wanted something, and then she went for it, and then all hell broke loose, and everything was terrible forever. Thank you for joining us. Go in peace. And then we’re like, why are women so confused about what they want and food? I don’t know, she just wanted an apple. What if she wanted a freaking pizza? And what I think about over and over again is, what that story does, what every story we learn about being a woman does is make us start to fear what we desire. Women have to fear what we desire. What women want is bad. What women want is scary, which makes us doubt ourselves, over and over again. What do we want? We don’t know what we want; we don’t even know where we want to go to dinner. Who knows? We don’t know. But what I find, talking to women all over the world, is that what women want is so good that if women started to go for it, power structures would tumble. So doesn’t it make sense that every single power structure would have to make women doubt what they desire? Because if women went for what they desired, the world would crumble. Ms. Doyle: And other worlds, based on equality and justice and love and peace would have to be rebuilt in their place. So what I want women to do is just go for the apple and let it burn. Ms. Tippett: Glennon Doyle and Abby Wambach, thank you so much. And thank you for having us. Ms. Tippett: Glennon Doyle is creator of the online community Momastery and founder and president of Together Rising, a nonprofit for women and children in crisis. 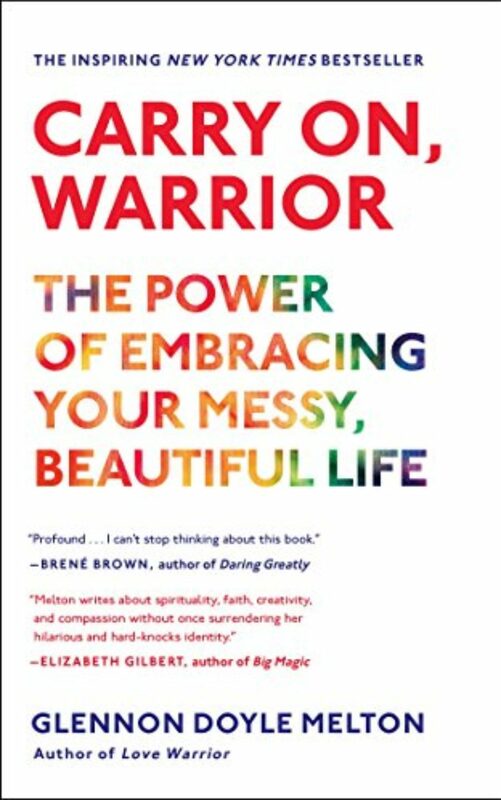 Her books include Love Warrior and Carry On, Warrior: The Power of Embracing Your Messy, Beautiful Life. Abby Wambach is a two-time Olympic gold medalist, FIFA Women’s World Cup champion, and six-time winner of the U.S. Soccer Athlete of Year Award. Her book is Forward: A Memoir.